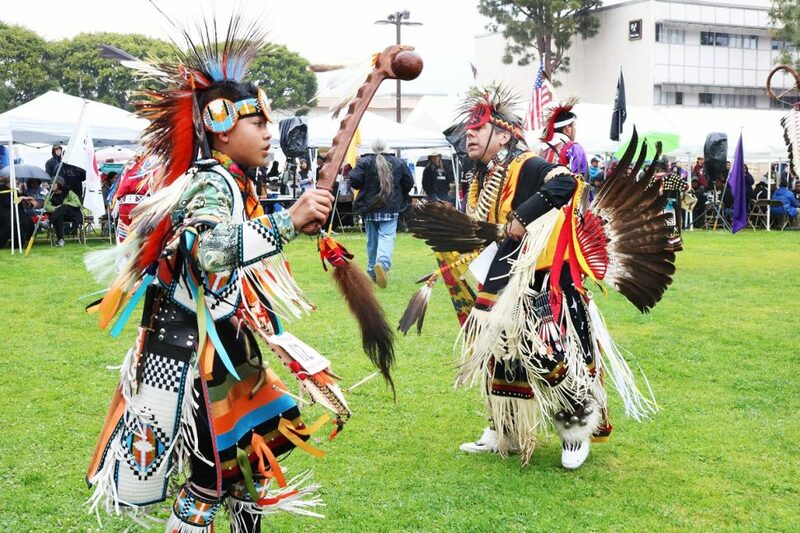 The 48th annual Puvungna Pow Wow was held at Cal State Long Beach over the weekend, showcasing traditional Native American dances and colorful garb from throughout the country. Even though it was raining Saturday afternoon, many attendees gathered around the campus’ central quad to watch the performances from the dancers and drummers. Attendees were invited to leave an offering to bring luck to the tribes before the Gourd dance began, during which they were also welcomed to join in and move along with the dancers to the beat. 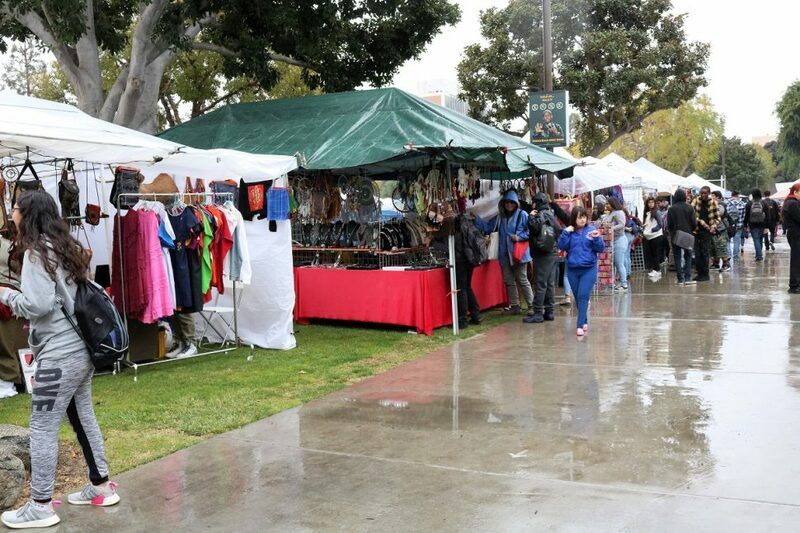 Guests interested in buying jewelry, art and accessories were also treated to rows of vendors who showcased popular or regional Native American items. Attendees were also able to purchase food like “Navajo tacos” as they sat and watched the dancers. Louis Leonard, who showcased a Northern traditional-style dance during the pow wow, said the event gives him patience and helps him deal with a lot of things that are happening in society today. Leonard added it was good to see the youth participating because that’s like healing medicine to him, too. “Whenever I’m in doubt, I’ve always got my cultural values where I come from and it puts me back into perspective,” Leonard said. 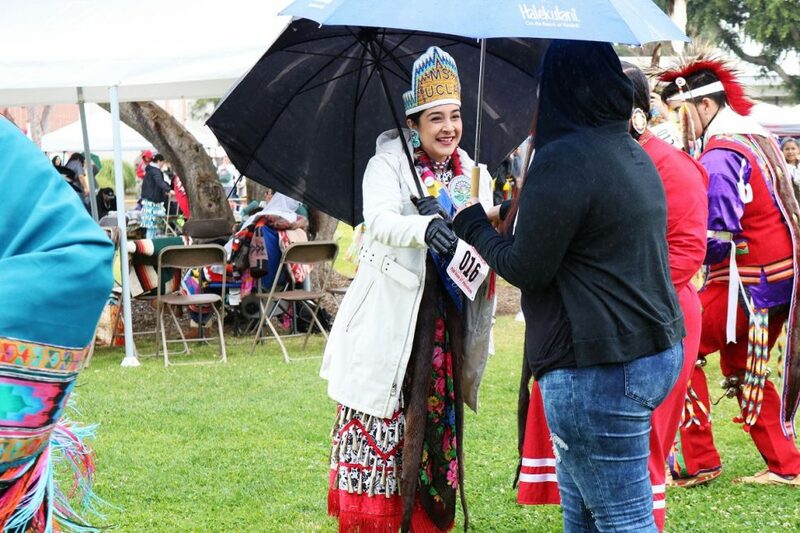 The 2017-2018 Ms. UCLA Pow Wow Princess Monica Jacome said she loves having the event around because it brings her back to her extended family and she’s able to share her culture with everybody. 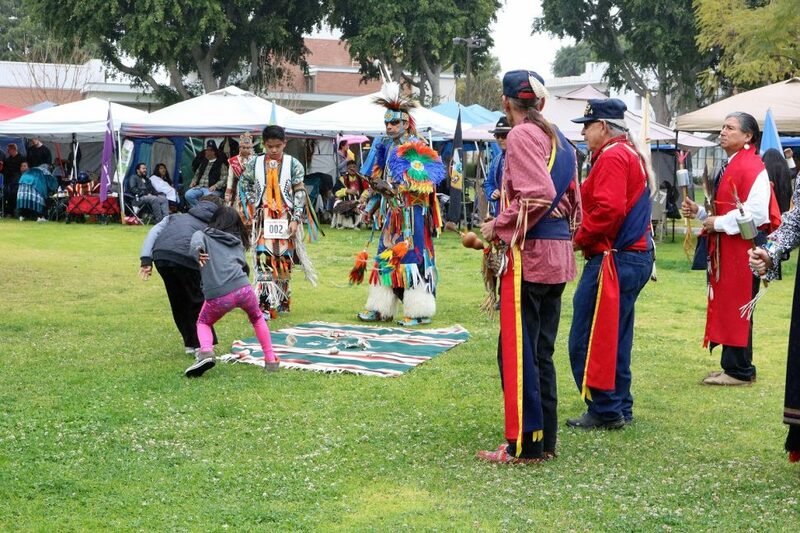 She said her family is Kumeyaay, a Native American people from southwestern U.S., so their traditional dances represent birds and are set to a gourd rattle. In order for Jacome to dance a different style she had to ask an elder for permission because the Gourd dancing is not from within her own tribe.